Are you looking for a safe and adventurous Longboard? Then you should check out the Sector 9 Fractal Complete Skateboard. This skateboard will offer you very easy cruising, high performance turns and made for all kinds of riders. This cruiser will help you to spend some great moments with smooth riding. This board has good manoeuvrability as well as stability. It comes with different ranges of color rand you will be able to change the color of different parts. Dimension: 36.0″ L by 9.0″ W by 26″ WB. Includes 36-inch drop through deck. The length of this Skateboard is great for those who enjoy cruising with longer wheelbase. Includes 8 ply maple drop through mounting. Because of its 36 inches long, it is sufficiently easy to control. Includes Gullwing 9? sidewinder with dual hanger trucks. Includes a shorter than the average deck length, it makes for easy carving. 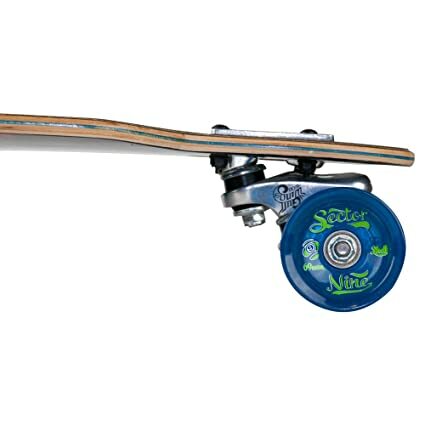 Includes 69mm 78A top shelf wheels that make it very fast. It has a great speed as well as great sliding capability. If you enjoy carving during riding, Sector 9 Fractal Skateboard will provide you great advantages because it has a shorter deck than average deck of other boards. Besides, the Gullwing Sidewinder trucks help to turn and cruise around easily. This board can turn on a dime without any wheel bite or wheel lock issues. The ply maple deck has a little flex in it, so that it can reduce the stress on your leg joints, back, and give you a smooth ride. The board is light weight and really great for high speed riding. 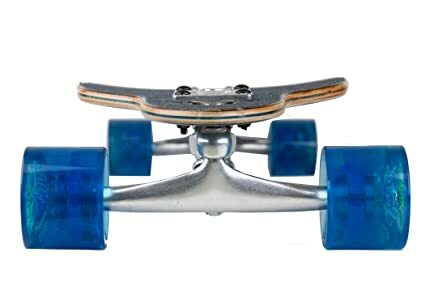 The bearings are mainly used to mount the board wheels. 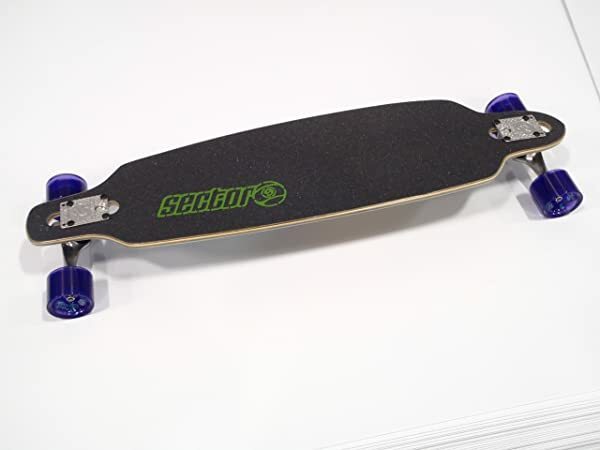 The Sector 9 Fractal Longboard includes reliable PDP Abec 5 bearing sand those will allow you to reach at your final destination within a few minutes. In comparison to other common types of bearings, the ABEC 5 bearings are very reasonable. Because of its great manoeuvrability, the Sector 9 Fractal is best for freeriding as well as cruising. This gather speed like a runaway freight train that is why it is recommended for intermediate to advanced level riders. On the other hand, there is no problem to go for a downhill longboarding for intermediate level riders. If you are a beginner level rider then you have to be fine for cruising, but you can feel nervous when freeriding or downhill riding at high-speed. The Sector 9 Fractal Skateboard has 69mm top shelf wheels and the 69 mm diameter wheels are so much satisfactory for a skateboard. These soft wheels are good enough to grip different types of objects such as rough surfaces, street boards and can easily roll over the cracks. The Skateboard has a compact design withbeautiful graphic. Comfortable and safe to use. This Skateboard becomes unstable at very high speed and it can be risky if you do not wear protective gear. The Sector 9 Fractal Complete Skateboard is the best board available these days. It is used to ride around your town, cutting some slalom corners, transportation, downhill and speedy crushing. It is also good for beginners, intermediate, advanced level Longboarders for its flexibility. Ride the board and enjoy your time!